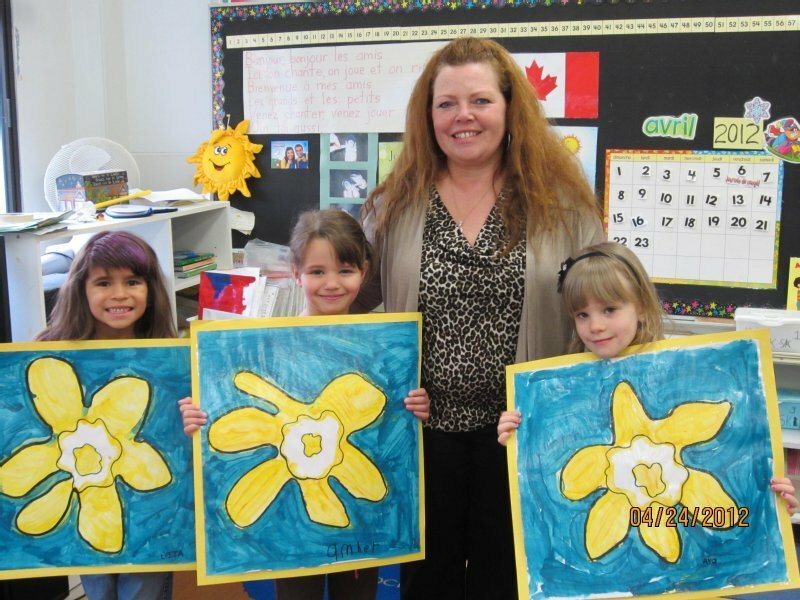 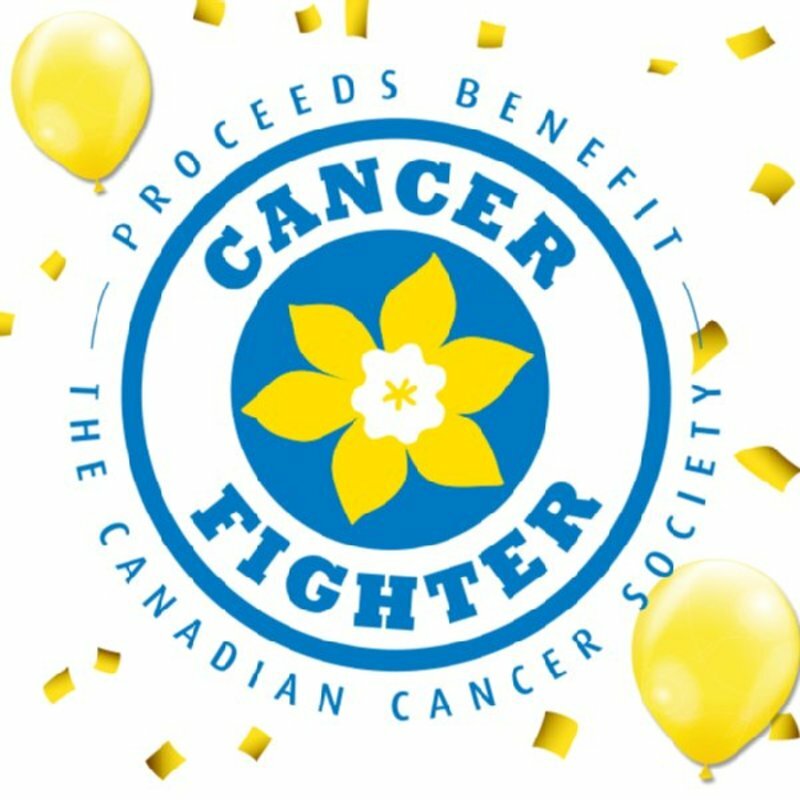 As the largest national charitable funder of cancer research in Canada, the Canadian Cancer Society has the ability to make the biggest difference for cancer patients and their families. 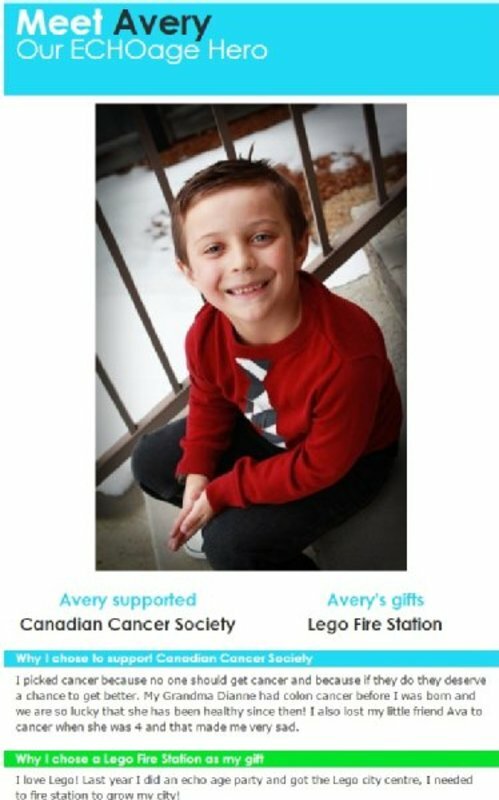 With 196,900 Canadians diagnosed annually, most of us have been impacted by cancer in some way. 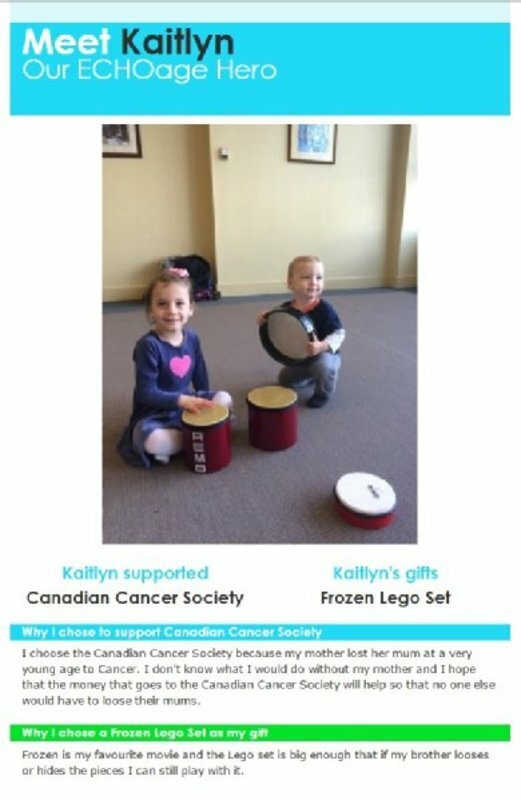 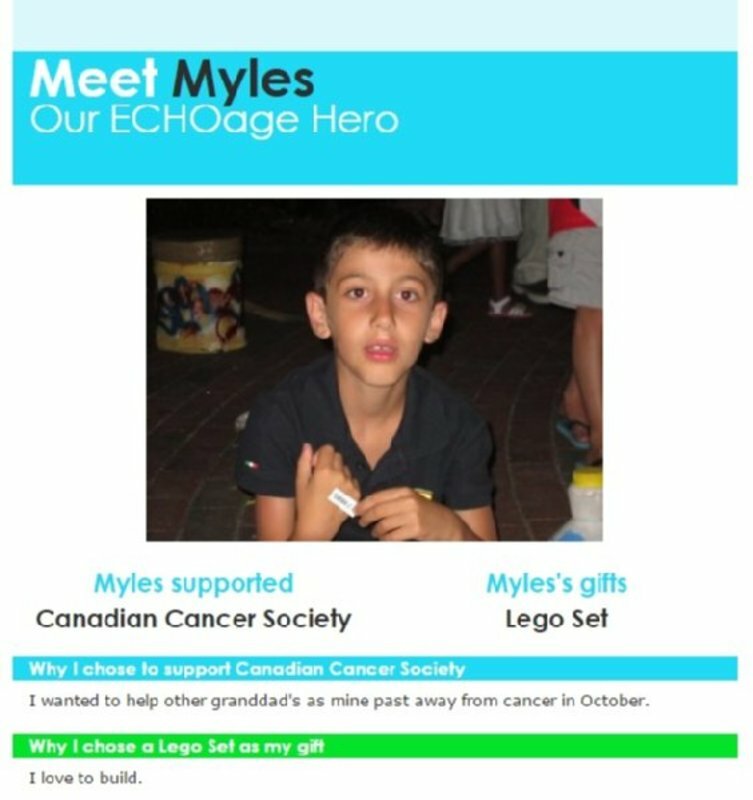 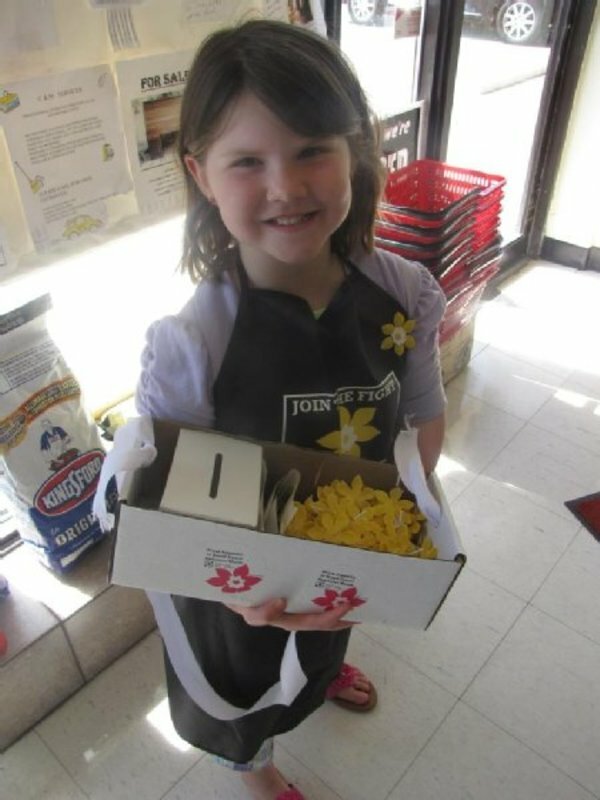 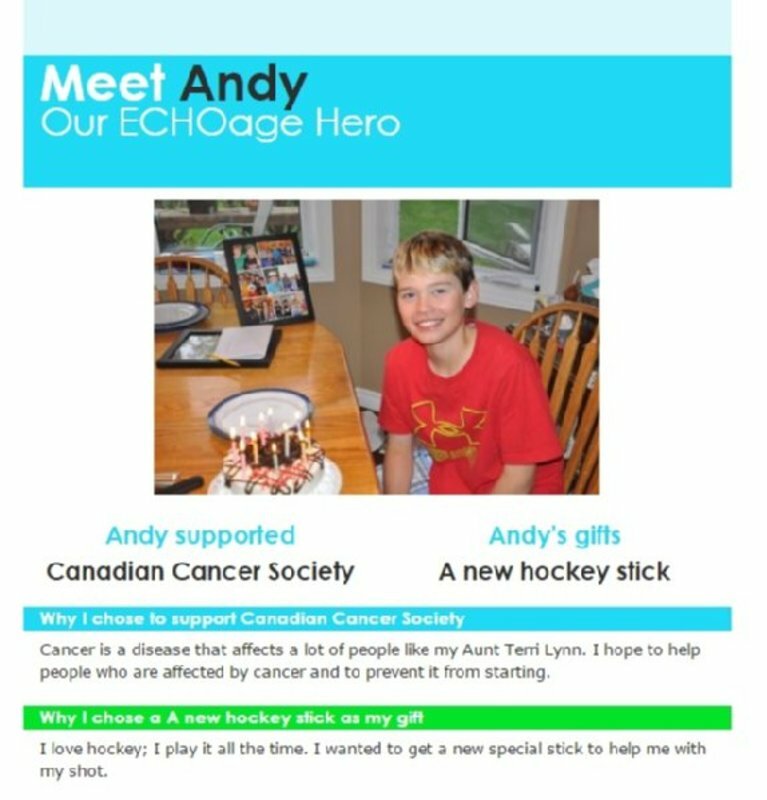 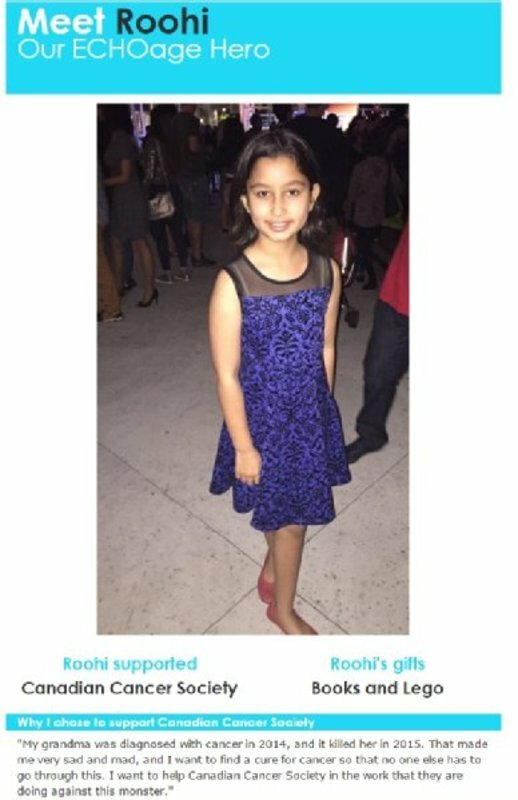 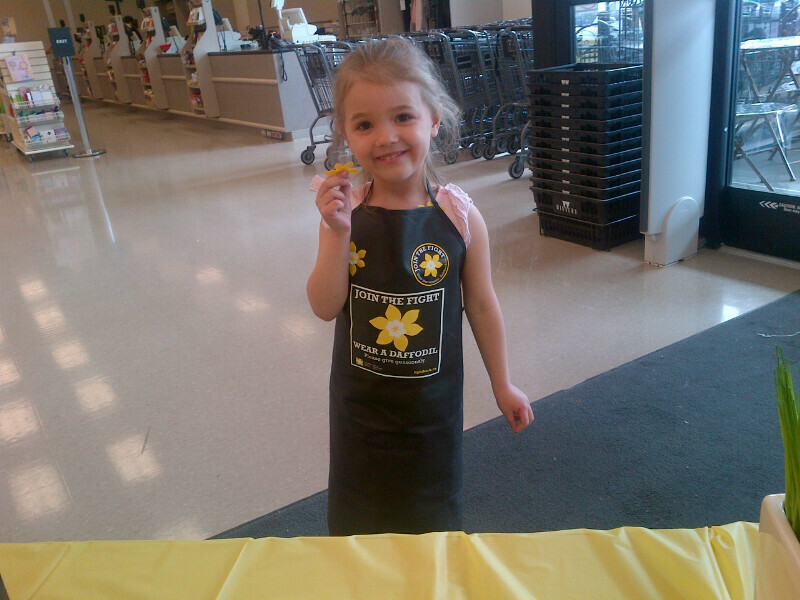 Whether you are supporting a recently diagnosed friend or family member, or you are honoring the life of a loved one, choosing the Canadian Cancer Society for your next ECHOage birthday party will help fund Canada’s most promising cancer research and vital support services for patients and their families right in your community. 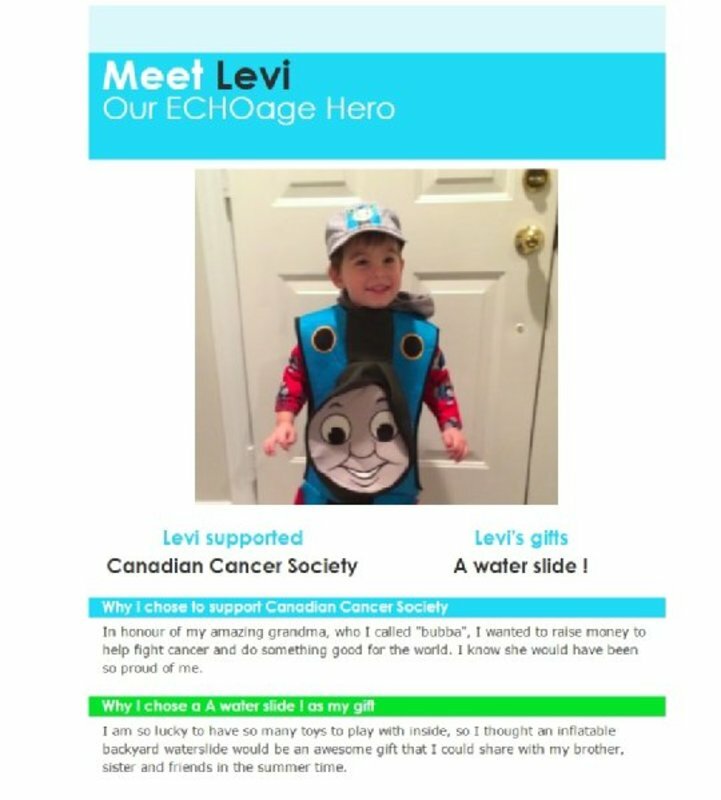 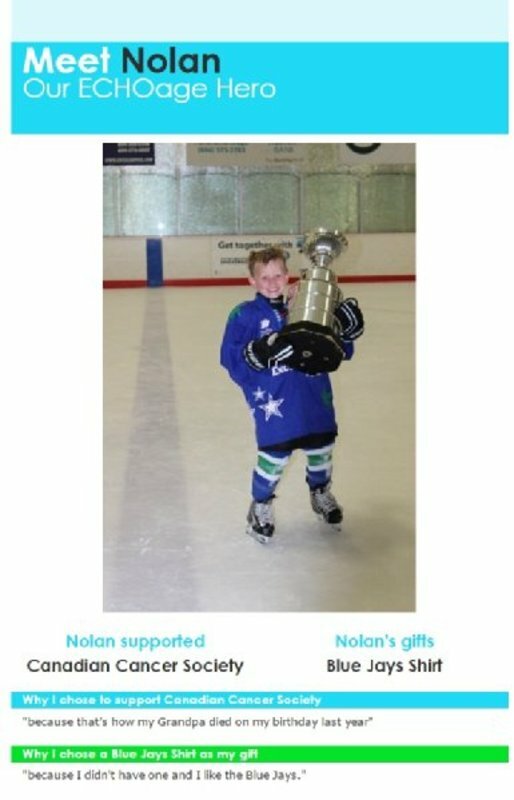 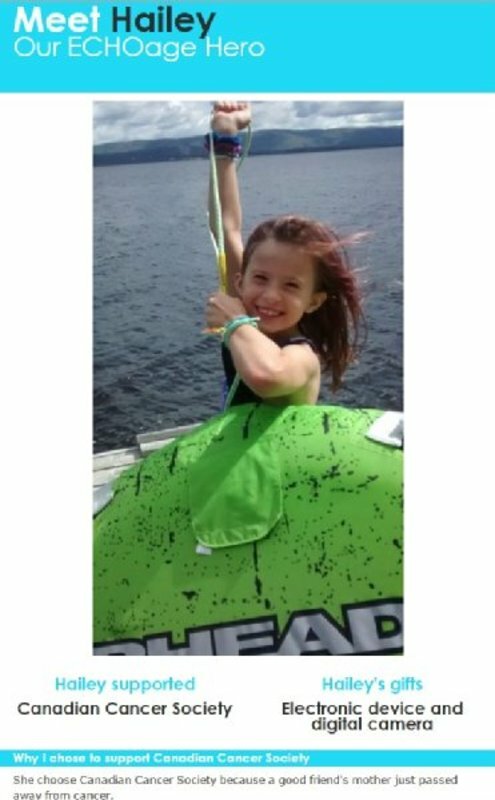 •	$35 enables one family to travel to their child’s life-saving cancer treatment appointment, helping to ease both the financial and emotional burdens of a sick child. 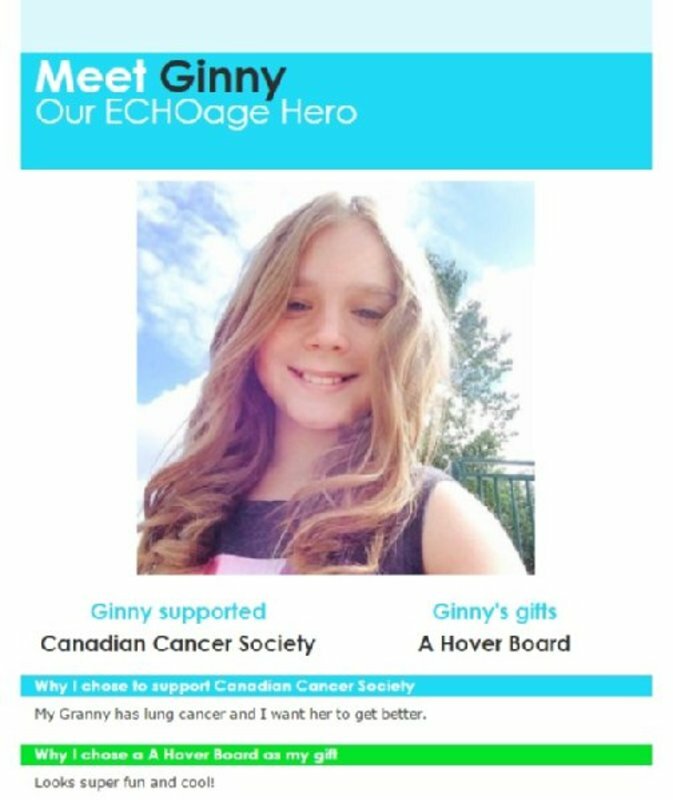 •	$60 allows researchers to stain 5 tumour tissue samples to help identify what type of cancer a patient has so they can receive the most effective treatment. 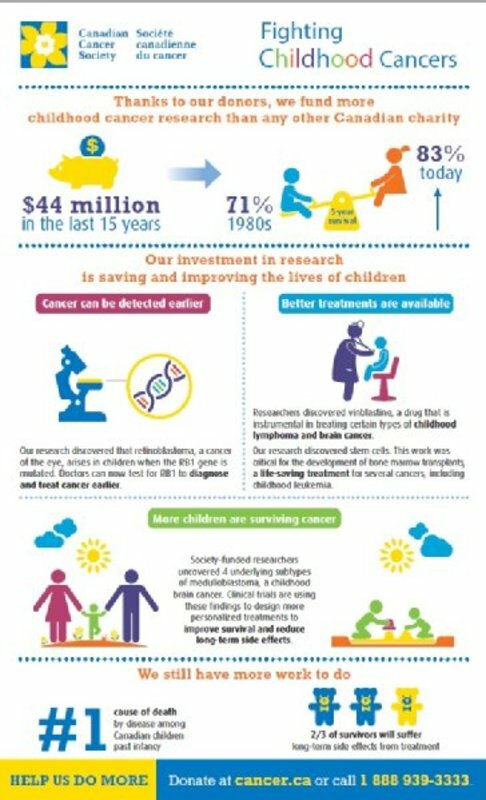 •	$180 allows researchers to isolate DNA from up to 50 human tumors so they can find out which changes in genes cause cancer. 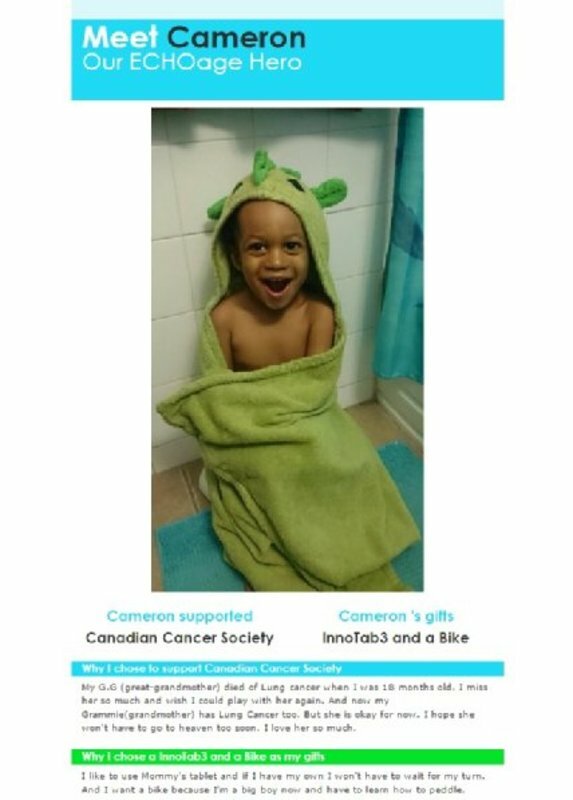 •	$300 covers the cost of the cancer cells needed for one research experiment. 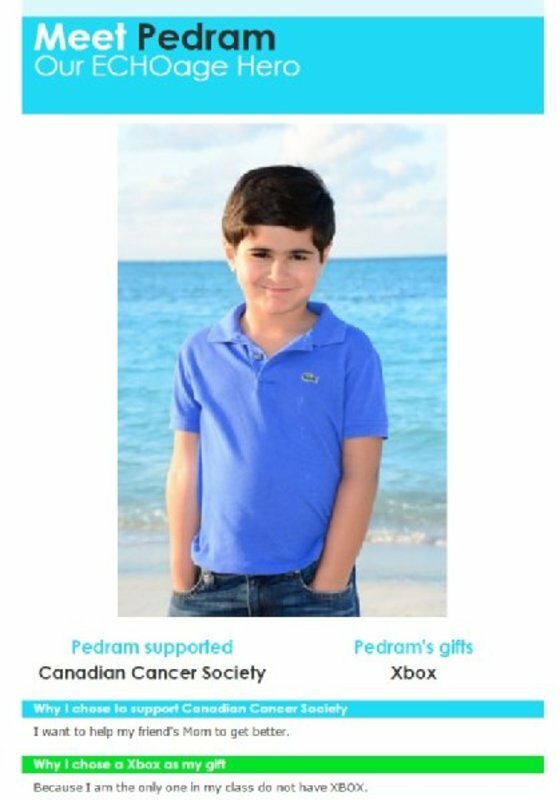 Join our incredible community of Cancer Fighters and start saving lives.